An in ground swimming pool is the star of your backyard, but like a big budget movie, there are plenty of supporting actors that help make the entire scene unforgettable. 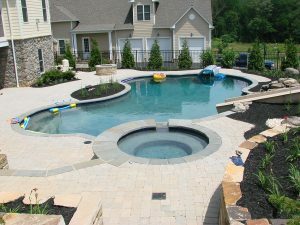 Rhine Pools offers many pool features and different landscape options for every project we undertake. 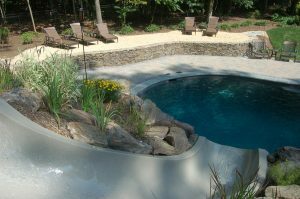 Whether your pool is concrete or fiberglass, these pool features can transform your backyard from good to great. 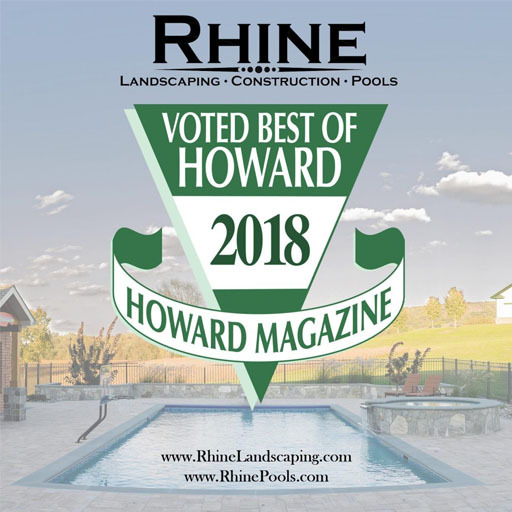 In addition to the traditional types of pool features, such as diving boards, slides, and steps, Rhine Pools offers other components that turn your ordinary pool into a destination place for everyone in the family. Vanishing edge pools known as infinity pools can take advantage of the properties grade change to create illusions that capture the eye and your imagination. We can combine this effect with pool landscaping and hardscaping for an experience that’s unforgettable. Lap Pools are usually rectangular and designed for exercise, but can still be used for play. This is the best design for anyone looking to have an automatic cover that will help keep their pool clean and safe. An automatic safety cover is the most dependable way to protect children and pets from the dangers of an unsupervised swimming pool. Other pool features might include an outdoor kitchen with bar, fireplace or pit that could burn wood or gas, waterfall or water effect flowing into the pool, a place to have some shade like a pergola, cabana, shade structure, or even a pool house. Another excellent addition to your pool is a heated spa. Not only is it a relaxing way to end a stress filled day, there are a variety of healing properties of hot water. Depending upon your choice, Rhine Pools can attach the spa directly to your pool or build it in a separate location. Also, your spa can be set up to run all year long even while your pool is closed and covered for the winter. Finally, the ultimate pool feature can be an enclosure designed to stand alone or be attached to your home. 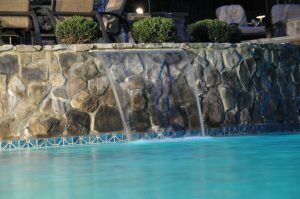 This feature will totally enclose your pool and gives you the ultimate security, and the ability to swim all year long. With your dreams and Rhine Pools’ Landscape Architects and Designers there’s no limit to the possibilities. Rhine Pools knows how to create a calming, relaxing environment for your pool and backyard. Find out more by contacting us today at 410 442 2445.